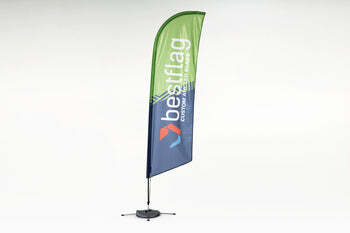 Be a mobile advertising display as you promote your brand while on the move. Our Backpack flags are digitally printed on and come in 3 different shapes. Whether needing a new replacement print or full kit we got you covered. Full-color digital print, add as many colors as you want, at no extra charge! Select an option to upgrade your Custom BackPack Flag!